A couple of days ago I was stuck between the driveway at St. Aidans church offices, and Oxford St., West at 4 o’clock in the afternoon. It was not pleasant. Spinning my wheels as I tried to edge forward or backwards to get out of the snowbank well cars hit the horn driving by,was frustrating to say the least. A little light flashed on my – allowing me to know that traction control was on. Traction control? 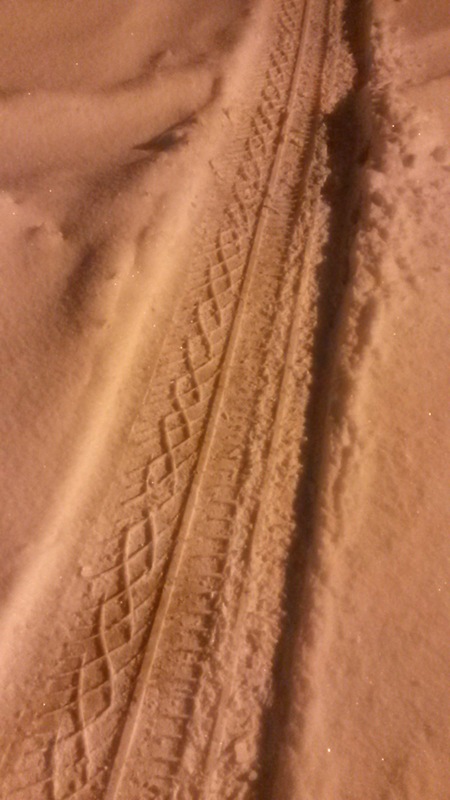 Boy, I thought, I could really use some of that “traction control” In the pursuit of life, and the pursuit of ministry. I will go out on a limb and guess that at some point or another we have all felt as though we were spinning our wheels. Perhaps you have had a project at work that just won’t get off the ground. People are putting up road blocks. Perhaps you have been trying to make progress in a relationship and with each step forward you feel that there is a couple of steps back. Maybe you have been trying to help a friend but no matter what you do, it never seems to help. Perhaps you are a parent trying your best to help your child out but he or she is unable to get ahead. Maybe you have been seeking that coveted promotion or new job, but you are feeling stuck in one position wheels turning. Truth be told, we all find ourselves at some point or another spinning our weeks and looking for traction control? I am interested to hear how you gained traction when you felt completely stalled, stuck, or obstructed. 1. Have I clearly communicated to those around me where it is I expect to get to? People cannot read my mind. Actually people would not want to read my mind! It is critical for me, if I am setting any goal, to clearly articulate where it is I hope to go. 3. Have I been communicating the same message, in the same way, over and over again? Is it possible that the message on communicating is difficult for others to understand. Can I rephrase, repackage, and clarify my goals, desires, hopes, dreams, etc. in such a way that others can hear? 4. Have I stopped to ask for help or direction? Sometimes when we are stuck, the best way for us to gain traction, is with the help of others who have journeyed the road before. Who do we know in our lives who have faced similar challenges, fought similar battles, lead similar ministries, etc. reaching out to those who care about us, and to those who have experience in trying to gain traction is critical. Spinning wheels is exhausting work, having experience people give a push is always a bonus. 5. Is it worth it? Sometimes gaining traction takes a great deal of investment of time, energy, resource, and commitment. This question is best asked early on. 6. Have I taken time away from all of the noise of daily living and consulted with God? Have I, in solitude, sought counsel from my creator. Last week we heard in Mark’s Gospel that Jesus took time away from The crowd that assembled to see him. His time away was spent in contemplation and in prayer. Jesus stepping away, ironically, was not an act of isolation but just the opposite. Jesus was reminding those who followed him that he does not act alone. That he makes his decisions, and walks his journey, based on his conversations with God. Sometimes those questions help me gain traction. It feels pretty good when you have been spinning your wheels for a time and you finally feel traction under your feet – forward momentum.